Windies win by 381 runs. Roston Chase picked up 8 wickets in the 2nd innings. I wonder is Jason Holder the tallest man ever to score a test double century. 6 foot 7.5. England 34-2 after 15 overs. 78/5. Bairstow departs second ball after lunch. 93/6. After getting bowled out first innings in the 1st test for 77, this is a much more resolute batting effort from England. Lady pundit on the BBC was actually very good, knowledgeable, and I’m pleased to say was an excellent addition. Three quick wickets for England. It’s a tricky pitch. Wouldn’t like to be batting last on it chasing a challenging total. England are now leading by 4 in Antigua. England all out for 132. Windies target of 14 to win the test and the Wisden Series. Super catch there by Stuart Broad. England well on top here. Fifer for Mark Wood. England lead by 123 after the 1st innings. 20 overs left tonight. Plenty of time for Jennings to finish his test career tonight. 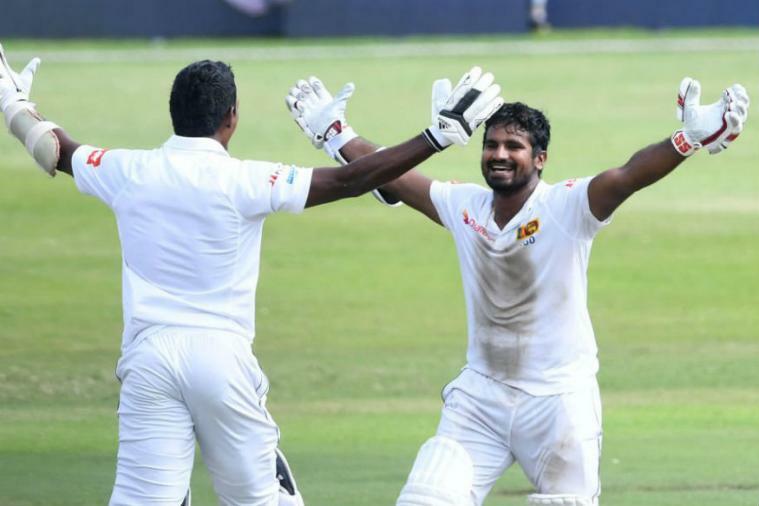 Sri Lanka backing up their epic 1 wicket win in the 1st test in Durban on the opening morning of the 2nd test in Port Elizabeth. South Africa 19/3 after 8 overs. Sri Lanka wrap up an 8th wicket win in Port Elizabeth for a 2-0 series win. First Asian team to win a test series in South Africa. The first test in Durban, one of the all time great tests. Incredible the similarities between Kusal Perera’s match winning knock of 153 not out for a 1 wicket win in Durban and Brian Lara’s match winning knock of 153 not out for a 1 wicket win against Australia at Kensington Oval, 20 years ago. When Kusal Perera glided Kagiso Rabada to the third-man fence on the fourth day of the Durban Test against South Africa he was 153 not out.